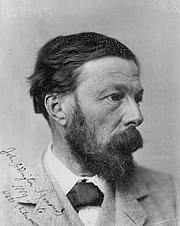 John Addington Symonds [1840-1893] is not the same writer as John Symonds [1914-2006]. The former was a Victorian writer with a particular interest in sexual reform and emancipation for homosexuals. He wrote many books on Classical subjects, Renaissance Italy and C19th Romantic poets. The latter was a novelist, children's writer and executor of the estate of Aleister Crowley whom he also wrote many books on. These two important writers really do need their own individual entries. John Addington Symonds is currently considered a "single author." If one or more works are by a distinct, homonymous authors, go ahead and split the author. John Addington Symonds is composed of 14 names. You can examine and separate out names.